A favorite curated on-line shop, a favorite label and a favorite color story, all come together to create my take on Spring transitional dressing. Cue Net-a-porter’s exclusive capsule collection with La Collection…founded and designed by my good friend Florence, La Collection is a ready-to-wear line inspired by couture-grade textiles like Italian wools and liquid-like silks, think fluid tailoring and timeless silhouettes that transcend seasons. The brand’s ready-to-wear collection interplays femininity with clean cut lines. Silhouettes are sharp and structured, contrasted with flowing, draping material. You get understated luxury paired with classically tailored and impeccably executed pieces. 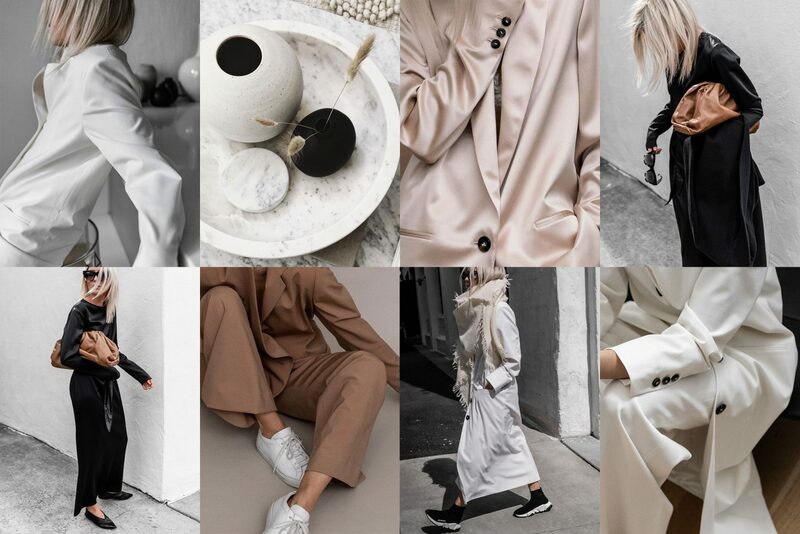 I am also obsessed with the brands muted color palette made up of barely there pastel hues, neutral tones and minimal-monochrome everything else…The minimal color palette lends itself to create a versatile, trans-seasonal collection that effortlessly works from morning till night.